The research for my PhD is in the area of experimental neutrino physics. Specifically, I am working on the protoDUNE Single-Phase detector, as part of the DUNE collaboration. 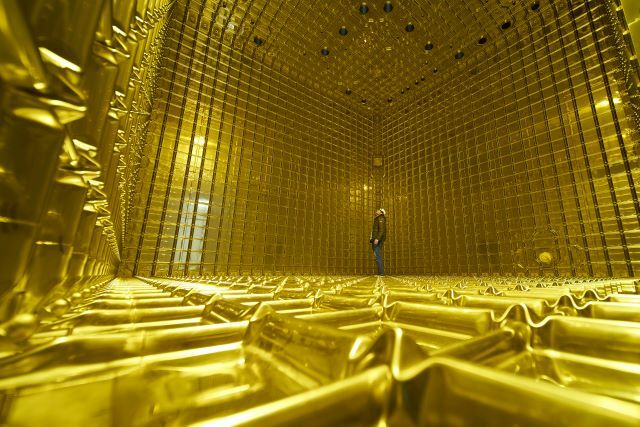 The protoDUNE Single-Phase detector is the largest Liquid Argon Time Projection Chamber ever constructed, and is in its final prepatory stages before data taking starts in late August 2018. The purpose of the protoDUNE Single-Phase detector is to validate various detector properties and techniques, used in the construction and data taking methods, in preparation for the full scale DUNE far detector. The main area of research for my PhD has been estimating the energy of electromagnetic showers in LArTPCs. But what does all that mean? What is an electromagnetic shower? An electromagnetic shower is where an initial high energy particle interacts with an Argon nucleus, producing a secondary particle travelling through the liquid Argon. Both particles then go on to interact further, creating more secondary particles, and so on and so forth until you have a large cascade of particles travelling through the liquid Argon. During each interaction, to ensure energy is conserved, each particle will lose momentum, and so eventually the cascading particles will come to a rest. Why do we want to estimate their energy? Knowing the energy of these showers is very important in understanding the way in which neutrinos are interacting with matter, and subsequently helps us understand the intrinsic properties of neutrinos. Knowing more about these intrinsic properties will allow us to answer some of the big questions in particle physics. One notable question is “Why is there more matter than anti-matter?” – essentially a question asking why we exist! For some fantastic further reading, and some amazing pictures, see the two following Symmetry articles! Investigating the removal of cosmic ray muons from the protoDUNE detector. Assessing the ability of augmenting traditional particle identification techniques using deep learning. Helping to display and develop metrics for use in the online monitory software of protoDUNE. 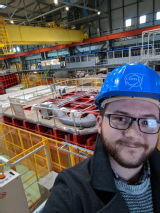 I am currently located at CERN until December 2018.